As summer dwindled to a close and students returned to school, many gamers were eagerly awaiting October 7, when Mafia 3 would hit U.S. shelves. Six years in the making, it was one of the most highly anticipated video games of 2016. The game takes place in 1968, in the crime-ridden city of New Bordeaux—a fictional version of New Orleans, complete with bayous, muscle cars and French Quarter–style balconies. 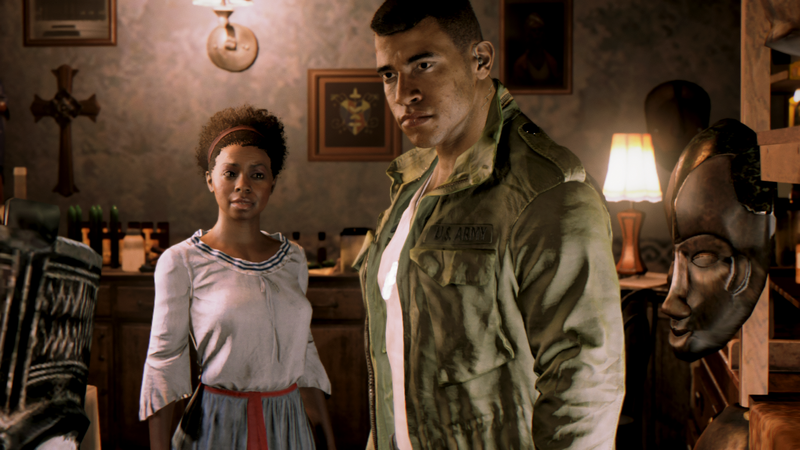 Reviewers have praised Mafia 3 ’s intelligent storytelling, elaborately detailed scenes and a refreshing open-world gameplay that allows players to shape their environment. But others were looking forward to the game’s arrival for a different reason: Its protagonist, Lincoln Clay, is African-American. Black leading characters like Clay are rare in the gaming world. And when they do show up, they often appear as sidekicks, overly muscular antagonists or comic relief. Or they’re narrowly typecast as athletes, rappers and gangsters. “Like she’s from this broken home. Or he’s a rapper guy. Or he’s poor, and his mom is on drugs, and his daddy’s gone,” says Derek Manns, a game designer at DeVry University in Illinois. Some steps have been taken to include more leading black characters in video games. Earlier examples include Lee Everett from The Walking Dead and Alyx Vance from Half-Life 2. While it’s true that white characters often have shady or violent pasts, the stereotypes for black characters persist. The Walking Dead opens with a handcuffed Everett sitting in the back of a police car, Vance’s character is a non-playable sidekick, and Clay is a criminal who starts his own syndicate. Some argue that racial diversity is more important in video games than in TV or film. Gamers can develop a visceral relationship with characters in a way that is more compelling than in other media. “[Video games are] more tactile and so much more interactive,” says Marcus Montgomery, lead game designer at Limbic and a 20-year industry veteran. That, according to Montgomery and others, is why it’s important that the industry broaden its representations of African-Americans, especially for the young black kids who grow up playing such games. Black kids “don’t see African-American engineers, doctors or software engineers” in video games, says Thomas Mensah, one of the inventors of fiber optics. Mensah, who is from Ghana, is leading an effort called STEM Reach 2020, which is aimed at attracting more school-age minorities to the fields of science, technology, engineering and math. Of course, white kids are not seeing white engineers or doctors in video games either. This isn’t to say good games can’t be made without minority developers. Games are often created by people without inside knowledge of a culture different from their own. This normally entails doing lots of careful research. The action-adventure game Assassin’s Creed III: Liberation is often cited as a good example of this—where a team of non-black writers were praised for their creation of the half-French, half-Haitian protagonist Aveline living in 18th-century New Orleans. It’s that insider’s perspective that drew We Are Chicago praise for its realistic portrayal of what it’s like to navigate the crime- and drug-ridden streets in that city’s South Side. The game, released earlier this year, is a first-person narrative adventure played through the eyes of Aaron, a young African-American man growing up in Chicago’s Englewood neighborhood. Writer Tony Thornton helped create Aaron’s world by drawing on his experiences living in Englewood, as well as conducting multiple interviews with its residents. The 2014 game Never Alone is another example of the richness that can result when members of a group you’re trying to depict are included in the game-making process. Never Alone, praised for its “excellent job of giving a cultural context,” was developed in collaboration with 40 Alaska Native elders and members from the Iñupiat community. An increase in the number of black game developers will better reflect the people who are playing the games. A 2015 survey by Pew Research Center found that 53 percent of black adults play video games, 11 percent of whom are self-described “gamers.” For white adults, these figures were 48 percent and 7 percent, respectively. A handful of organizations have cropped up in recent years to attract more black developers to game design. Montgomery is part of Blacks in Gaming, which is aimed at helping African-Americans produce video games. Mensah is the chairman of Entertainment Arts Research Inc. , the first African-American-owned video game development company in the U.S.
That’s a remarkable disparity between black players and those who design the games they play. While the cliché that African-American males enjoy sports games like NBA 2K (basketball) and FIFA (soccer) may be true, says Manns, “there are a lot of black nerds out there who like playing sci-fi and fantasy games as well.” And that’s a clue to what might be needed to boost African-Americans’ presence in video games. Game design needs more of those black gamers.